Most experts agree that 1 oz gold coins are the best types of investment when it comes to buying gold. Aside from the ease with which these coins can be stored, they also entail lesser expenses for the buyer. The characteristics of this type of coin make them one of the most sought after coin in the market in terms of investing. The one ounce coin has been the most popular in the Western hemisphere and has become a sort of standard when it comes to buying gold coins. Aside from that, you can easily know how much your coin is worth since the amount or price of gold at the market is usually expressed in terms of one troy ounce. 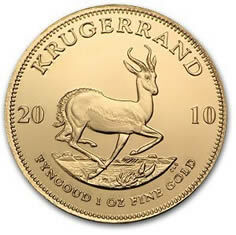 One ounce gold coins became a fad with the advent of the African Krugerrand. 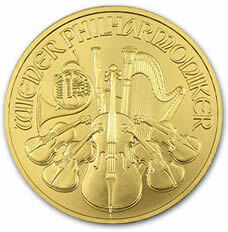 This coin, which was made from a lower karat of gold but has a weight of one ounce, became popular with investors since they are able to get a larger amount of gold at a lesser premium. Most of the coins that time were smaller in weight but could be bought at a higher price only due to the cost of production. With the lesser premiums came greater demand for the coinage which was produced by South Africa. Although this demand was checked by the temporary ban on the coin due to the apartheid system during that time, it nonetheless left its imprint in the international market for gold. After this, other countries began developing their own one ounce gold coins – the Australian Kangaroo, the Canadian Maple Leaf, the Chinese Panda, the Austrian Philharmonic, and the American Eagles and the American Buffalo. Most of these coins are made from 24 karat gold exempting the American Eagle which has an alloy to make it sturdier against handling. Pure gold is very soft and is not good if handled too much or dropped. They are easily disfigured but with an alloy, it becomes more viable for storage. Compared with other sizes, the one ounce coin is still considered to be the best when it comes to investing purposes. The smaller types of coinage have higher premiums than that of the one ounce coin since the cost of production is usually just the same but the gold content is lesser. Larger pieces such as ten-ounce and one-kilogram coins are just not that easily to transport and cannot be divided or split easily if you are in need of smaller quantities. Hence, these types of coins are usually produced at lesser quantities and are only bought for other purposes aside from investing. Aside from these reasons, it is also good if you can easily assess the value or worth of your gold at the current market price – which is expressed in one-ounce terms. When investing, information is definitely a good device. So if you can easily compute your investment’s worth – which is in one ounce coins – then it will be better for you. One ounce gold coins are definitely a better choice when thinking of investing your wealth in gold coins.